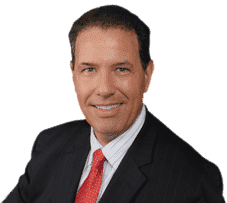 For an Accident Attorney in Boca who you can trust to represent you with complete accuracy is Robert E. Gluck, an attorney since 1989. If you were injured in an accident, Robert E. Gluck will legally represent you if he is able to prove negligence. He will fight aggressively for your legal rights, and see to it that you are not taken advantage of by the legal system. Before he is able to legally represent you, Robert E. Gluck will have to provide evidence of negligence. Do not wait to call Robert E. Gluck, it is important you call him as soon as possible after your accident. Your Boca Accident Attorney, Robert E. Gluck, will prove negligence and launch an investigation into your case right away. Negligence happens when a reasonable person fails to follow a certain level of standard care, and it results in injuries to another person. With an attorney such as Robert E. Gluck on your side, you simply cannot go wrong. You will be at a huge advantage with Robert E. Gluck. The guilty party will be held accountable for your medical injuries, and will have to pay for your medical expenses. Hiring a Boca Accident Attorney such as Robert E. Gluck will improve your chances of winning your case. Studies show that when an injured person has legal representation, the chances of winning a settlement are much higher. Robert E. Gluck has gained valuable resources and professional expertise over the years, so you will feel much better with him on your side. Robert E. Gluck will provide you with the emotional guidance that you need to get through this difficult time. He will be there for you every step of the way, from start to finish. Your Boca Accident Attorney Robert E. Gluck will give you peace of mind, and do everything in his power to help you win your case. He will visit the scene of the accident and look for signs of evidence. Robert E. Gluck will take pictures of the accident scene and secure video footage. He will speak to your witnesses and obtain witness statements for you. Contact Robert E. Gluck as soon as possible after your accident to schedule a consultation.